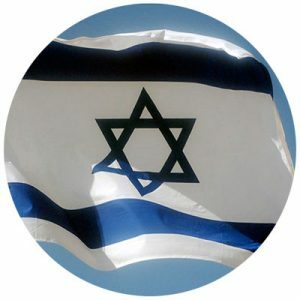 The Friends of Israel actively invests in the edification of Christians by teaching Scripture that exemplifies why loving the Jewish people and supporting Israel is integral to the Christian faith. This is why we offer conferences and events to help strengthen your walk in the Lord as well as give opportunities to minister to the Jewish community. 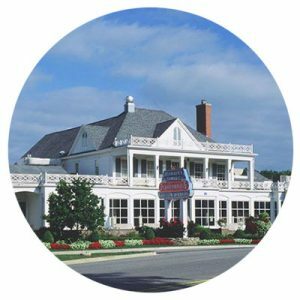 Our national conferences are currently held annually in Winona Lake, IN, Lancaster, PA, and Winnipeg, MB (Canada). Taught by some of our top Bible teachers at The Friends of Israel, guests are challenged in God’s Word as well as learn from prominent leaders in the Jewish community at our popular Focus on Israel Night. Join us for our one-day prophecy conferences held throughout the U.S. and Canada. Our Bible teachers bring timely messages on Bible prophecy and how it relates to Israel and the world today. The Shepherds’ Gathering is designed to encourage local pastors and pastoral staff as they seek to be effective leaders at home and in the church. Our popular one-day teaching events are held at selected locations throughout the United States and Canada during the year. Various Friends of Israel Bible teachers will teach on the topic. Local conferences held by our Friends of Israel workers or surrounding partners. At a Thank God for Israel event, Jewish people meet Christians who love and honor them and want to stand beside them to show their love for Israel and God’s Chosen People. Our trained Friends of Israel workers will demonstrate one of the Feasts of Deliverance (Hanukkah, Purim, or Passover) to your congregation or group. An epic story of courage, heroism, and hope. Learn how a remnant of the Jewish people stood strong for the Lord amid persecution and compromise. See how Hanukkah and Christmas are inseparably linked and why Christ chose to declare His deity at Hanukkah (Jn. 10). A miraculous deliverance, as shown in the book of Esther. Learn how God preserved His people from annihilation. See how God works behind the scenes of our lives even when He seems silent. See how communion is rooted in the Last Supper and experience the heart of a Jewish seder. Schedule an FOI representative to come and present one of our Feasts of Deliverance programs to your church or small group. The Friends of Israel is committed to the local church. Let our expert teaching staff come to your church and provide prophetic teaching relating to Israel. 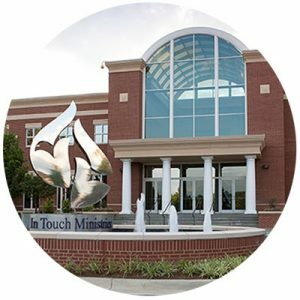 Have one of our Church Ministry Representatives come to your church to teach the Bible, Prophecy or Jewish Culture & Customs. What topic would you like us to speak on? More than ten years ago, God placed a burden on the heart of one of our workers in the Midwest to bring together full-time Christian missionaries and high school youth. He answered the call by forming YouthFEST, a life-changing weekend where missionaries challenge committed Christian high school students to give their lives to the Lord in vocational Christian ministry. Several weekends each year, youth from all over the United States gather together with full-time Christian workers from several organizations to learn, pray, worship, and fellowship. The workers pour into the students one-on-one throughout the entire weekend. There are plenty of retreats for teenagers out there but we feel YouthFEST has a special purpose, unlike any other. G’sherim (meaning bridges in Hebrew) is an internship program of The Friends of Israel Gospel Ministry equipping Christians to build bridges between the Christian and Jewish communities by serving the Jewish people, supporting the State of Israel, and sharing the love of the Messiah. How do we serve, support and share? By volunteering in and networking with the Jewish and pro-Israel communities. By utilizing the Bible, loving relationships, and deeds of kindness. ORIGINS means Our Resolve Is Giving Israel Never-ending Support. For over ten years, The Friends of Israel has taken young adults to Israel on our ORIGINS trips to serve the Jewish people. Year after year, God raises up a group of young people to spend a month in Israel to volunteer at a major hospital outside of Jerusalem. The work is not easy, but our young adults go to show their support for Israel. They are also able to tour the land of the Bible, walking where Jesus walked! After the trip, our volunteers return home forever changed, and, most importantly, a lover of Israel and the Jewish people. Friendship is the theme of Hesed (meaning lovingkindness in Hebrew), our adult volunteer trip to Israel. Each spring, adults from all over the world go to Israel to serve the Jewish people for two and a half weeks. They gladly clean and work on projects around a major hospital outside of Jerusalem, while making lasting friendships with the Israeli people. Hesed members always leave Israel with a deep love for the Jewish people and a desire to return, which some do year after year.